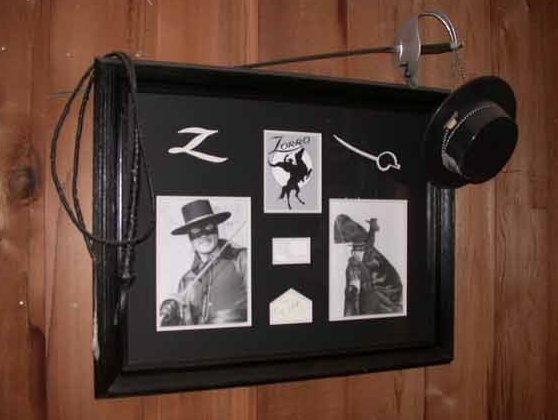 Guy Williams as Zorro signed showpiece. Measures 25-1/2"X33". 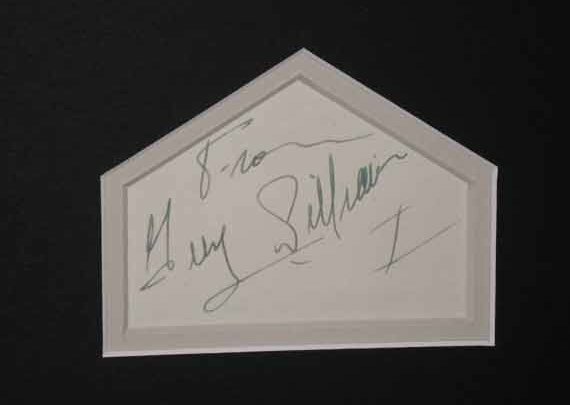 Features a hand signed card from Guy Williams with his famous "Z" at the end, 8X10 black and white pictures. A "REAL" sword!!! This sword is not a replica. It is a real Spanish sword from the Zorro era. 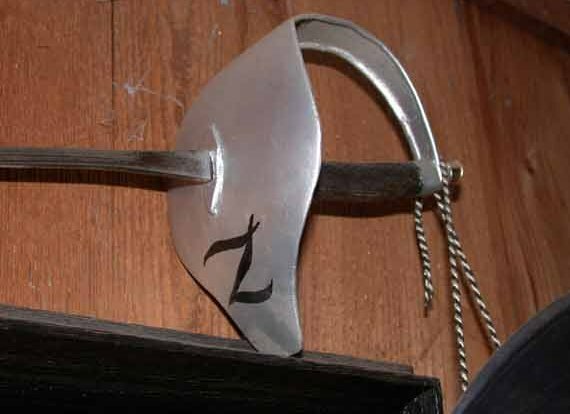 It was not used in any of the Zorro productions, however, it is the exact sword Guy Williams used in the television series. 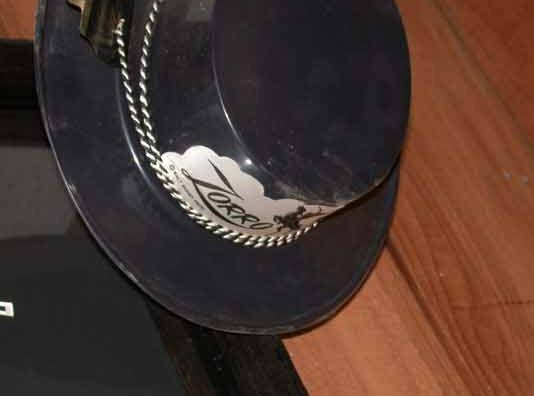 Also included is an original Walt Disney Zorro hat. It still has the price tag of $.25 cents on it. The entire piece is rare and beautiful. All of the matting was hand done by a framing artist. Also included is a leather whip, (black), for a genuine eloquent display.